MILWAUKEE--Jeff Hanson could be working as an engineer. Kiefer Stenseng could be attending graduate school in Norway. Instead, the 2008 Janesville Craig High School graduates are committed to bridging the digital divide. Five years ago, Hanson co-founded Project: Community Computers as a student group while attending the Milwaukee School of Engineering. The idea behind the project was to bring technology to people in need while reducing electronic waste. Since then, the group has set up more than 20 computer labs with used equipment across three continents. 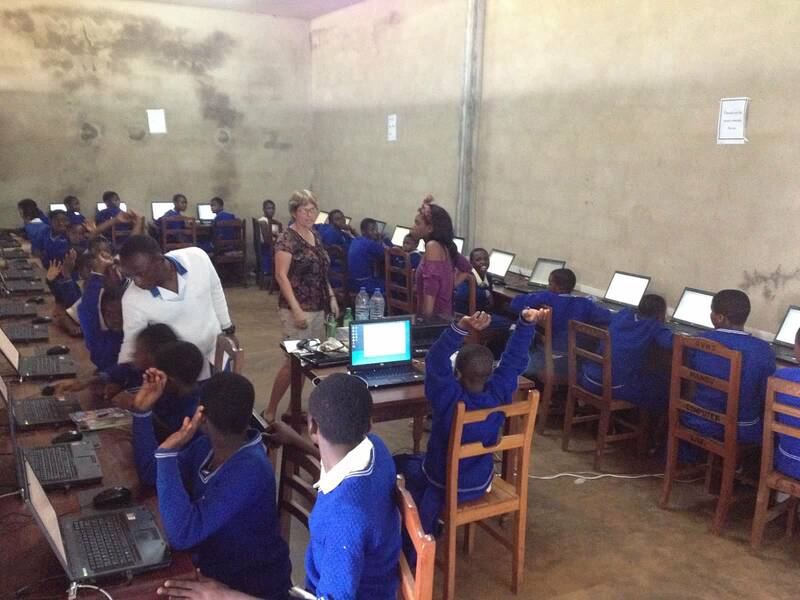 Hanson currently is setting up a lab with about 35 donated computers at Njala University in Sierra Leone. Helping him are students from Lawrence University and MSOE. The effort also provides technical service and computer lab donations to nonprofit groups close to home. In Milwaukee, the project has provided tools for people to find work in the inner city and supplied computers to students who cannot afford them. Hanson also set up two used computers with a printer at a men's shelter in Janesville so people can work on resumes and gain online skills. The young entrepreneurs eagerly pour energy and effort into the project, but they need money. By Dec. 31, they hope to raise $100,000 in donations to turn the start-up organization into a full-fledged nonprofit agency. As a college freshman, Hanson made the first of three trips to Africa to help set up a computer lab in Kenya. Before coming home, he witnessed the positive impact technology had on people who previously had no computer access. Hanson recently graduated with degrees in computer engineering and electrical engineering. Instead of looking for a job, he is working hard to keep the computer project alive. He teamed up with Stenseng, a recent UW-Madison graduate who has a passion for social welfare. Today, Hanson is director of operations and Stenseng is the agency's creative director. Both know that what they are doing is not a new idea. But they hope to be the ones who do it best. “Our goal is to turn one person's trash into another's treasure,” Hanson said. They cite telling statistics that support their effort: Of the more than 7 billion people on the planet, only about 2 billion have access to the Internet. In the United States alone, roughly 30 million people do not have access to computers. At the same time, companies, schools, businesses and citizens are throwing away tons of electronics annually because they are considered outdated. 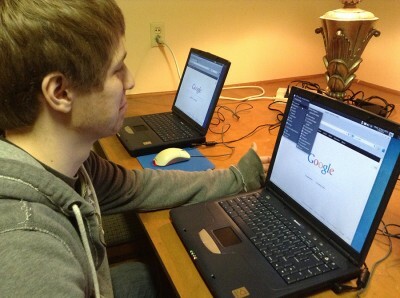 Hanson installs the used computers with an operating system called Ubuntu, which was created for the purpose of free distribution. “The project wouldn't be possible without the software, which is stable and secure,” he said. On their website, the men explain that many people use computers and the Internet for education, to find work and to connect with friends and family. When you think about all the ways that technology improves our lives, it is easy to see how a digital divide exists between the haves and the have-nots, they said. The divide is not limited to the developing world. In fact, they explain that the divide is larger for those within developed communities without computer access than for those in developing countries without computer access. Anna Marie Lux is a columnist for The Gazette. Her columns run Sundays, Tuesdays and Thursdays. Call her with ideas or comments at (608) 755-8264, or email amarielux@gazettextra.com. Free Software is not just software or a philosophical attitude to freely available software. Free Software is a catalyst for change in a constantly evolving world that is becoming more and more dependent on technology. Unfortunately while many of us are getting faster and faster computers on our desktops and in our pockets, for many the digital divide is ever wide as it has always been. I have always had a soft spot for those organizations who selflessly bring Free Software to those for whom technology is a missing link in their lives. I spent two years doing this with OpenAdvantage before I joined Canonical, bringing technology to a region where many manual labourers were out of work and needing access to technology and training to upskill and get new jobs to support their families. Likewise groups like A2RT, FreeGeek, Partimus and more doing similar great work. When I was speaking at Ohio Linux Fest earlier this year I met the Project Community Computers. Emma from System76 told me they wanted to talk to me about their project (they use Ubuntu extensively across their projects) so I had a meeting with them. The project essentially takes Ubuntu and puts it on recycled computers and they have set up over 20 educational labs around the world. All out of their own pocket. All on their own time. I was blown away by their accomplishments. The guys are smart, selfless, motivated, and harnessing the truest power of Free Software…to break down the digital divide. They are not just talking a big game…they are playing a big game with so many accomplishments so far. It is projects like this why I got involved in Free Software and Ubuntu in the first place. The team were looking for opportunities for funding their continued work and I suggested they crowd-fund it, an idea that they had already thought about, so I am delighted to see they have kicked their campaign off at http://www.indiegogo.com/projects/project-community-computers. Project: Community Computers Indiegogo Campaign Launch Video from Project: Community Computers on Vimeo. Please go and invest in this tremendous team and project; I have no doubt that every penny will be put to good use. Ubuntu is a vivid ecosystem where humanity is located at the very heart of the Ubuntu universe, overall caring-for-others attribute traversing users, developers and companies. System76 is an experienced company rooted into selling computers powered by Ubuntu, offering laptops, netbooks, servers and desktops to users seeking both powerful and lightweight machines equipped with the latest versions of Ubuntu. It seems that, along with selling computers, System76 is involved in reducing the gap between developed and undeveloped countries/regions/individuals (from an economic point of view) by offering computers powered by Ubuntu to in-development persons, and, therefore, increasing their ability to experience a more proper IT life and to benefit related effects (increased knowledge, Internet, communication across the world, etc). System76 has shared on its official Google+ webpage several images with computers older than 4 years that have received an Ubuntu installation and have been sent to the Community Computers project, interesting project specialized in a wide range of activities, including improving education in Kenya, providing information and guidance to persons seeking employment in the city of Milwaukee, essentially, having an activity spanning three continents. While 4 years may seem a long distance, the 4-year-old computers are sufficient and usable for multiple activities, including web browsing, media playing, reading books, editing images, computers that, bundled with Ubuntu, have been moved from a zero-activity stage to potentially empowering persons in improving their IT lives. Clomid online cheap Lasix Jeff Hanson of Project: Community Computers recently contacted the Xubuntu developers to introduce the work his organization is doing and ask about how best to give feedback. We took this opportunity to launch our“Xubuntu at…” series of interviews by asking him more about the organization! If you’d like to contribute either hardware or money, we’re happily accepting both. We’re planning trips to Sierra Leone and Jamaica later this year, so we need all of the computers we can get! Currently, we are raising funds to move out of our small student org office space that MSOE has graciously given us and into a bigger space.Details on how to donate can be found at our website. We were featured in the Janesville Gazette for our Literacy Connection project!